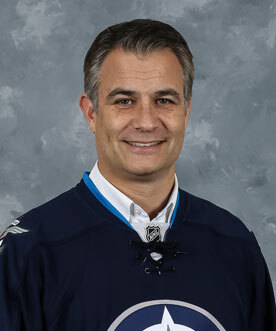 Steve was born and raised in Winnipeg. After receiving his undergraduate degree from the University of Manitoba, he attended UBC Law School where he graduated with his J.D. in 1992. Upon graduating, Steve returned to Winnipeg where he practiced law (commercial litigation) at Fillmore Riley until he made a career change from law to business in 1997. Steve joined Conviron, a business founded by his father in 1964. Conviron is widely recognized as the world leader in the supply and manufacture of controlled environment equipment used primarily in agricultural research and high value plant production applications. Under Steve’s leadership, the company has grown significantly and today Conviron has products in more than 90 countries. The company was named Manitoba’s Exporter of the Year by the Canadian Manufacturers & Exporters in 2012, and in 2016 was named Life Science Company of the Year by the Life Science Association of Manitoba. It remains based in Winnipeg, with sales and service offices on four continents. Steve is passionate about our Province and our Country, and devotes a considerable amount of his time to serving our community. He is currently the Vice-Chair of the Board of Manitoba Hydro, and serves on the Boards of the Business Council of Manitoba (as past chair), CancerCare Manitoba Foundation and St. John’s-Ravenscourt School. He is a past chair of the Jewish Foundation of Manitoba and Prairie Theatre Exchange. Steve and his wife Lisa have two boys, Nathan and Alex.